Need a business website or an online or mobile business application? Whatever you’re looking for we can help you plan, design and implement a solution. We’ve been building websites and developing online business applications since 1994—there’s nothing we enjoy more than a challenge and an opportunity to use technology in an innovative way. We’ll work closely with you to understand your business and system requirements and then develop a website or application that works for its living, adds value to your business and provides a service to your customers. 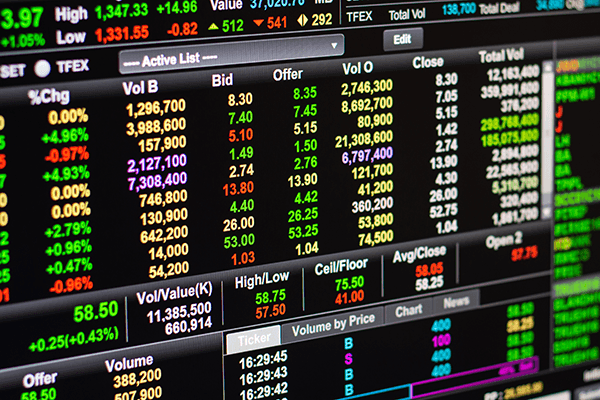 Development of a browser based trading reporting system for a major investment bank. Consulting, design and development of a realtime delivery tracking system for a courier company. Development of a realtime web based triathlon management and timing application. 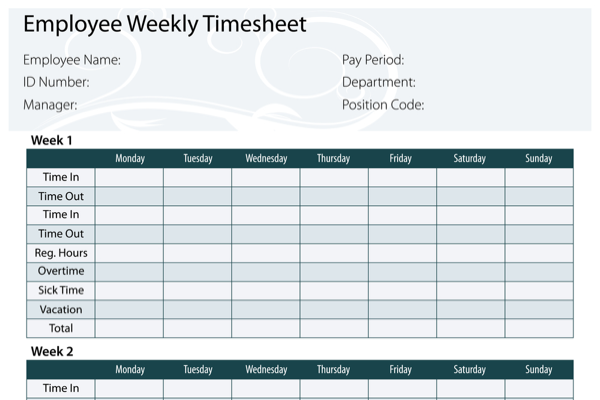 Development of an SMS & Web based time tracking, wages and invoicing system. Bespoke additions to the functionality of an eCommerce site and user interface for a high street retail business. Concept, implementation and development of a trip tracking and charity fundraising application and site. We’d love to hear your plans for a website or application. Just get in touch and we can start the ball rolling! In the 90's one of our main clients was a major investment bank in Canary Wharf. We had started working with them in 1992 when we ran some training courses for their IT and trading teams, and we continued to provide training, development and consulting services for them, and other investment banks, throughout the 90s. In 1993 the Web was born and the first browsers, Mosaic and Netscape, appeared. Our client was keen to leverage this new technology for internal reporting and in 1996 they asked us to look at integrating some reporting functionality that we had already developed into a browser based application. The creation of the HTML document proved quite a challenge in the early days of the web, as CSS and tables had not yet been introduced, and we had to use a variety of techniques to layout the data in tabular formats. We also had to generate the charts as images programatically so that they could then be incorporated in a web page. On the programming side we used a variety of languages and interfaces to retrieve the data, capture user input and then generate the output in various formats. This was all combined into an automated process that ran at the end of each trading day and which then sent the reports to clients worldwide by fax and email and generated the HTML and images for use on the intranet. We were approached by a small courier business based in Surrey. They wanted to offer their clients the facility to track the status of deliveries via their website, but couldn't afford to invest in sophisticated tracking technology. A web based application that would allow customers to view the status of a delivery. The status had to be updated remotely by a driver as quickly as possible, it was pointless waiting until the van returned to base as that could be several hours later. The application had to be simple to use and not require investment in expensive equipment. One piece of equipment that each driver carried with them was a mobile phone, so we looked into the possibility of using SMS messaging to make updates remotely. Messages were sent in a format that identified the delivery reference plus a status code. In 2000 there were no SMS gateway providers and so we had to start from scratch. We worked with an ISP and hooked a Nokia phone up to a server. Drivers could then send SMS messages to the Nokia phone. Next, we developed some software that would run on the server and poll the mobile phone every 2 minutes to look for new messages. If any messages were detected then they were processed by the server and stored in a database. The final part of the jigsaw was to create a page on the courier's website that allowed the customer to enter a delivery reference and request the latest status. This then connected to the server, retrieved the latest information and displayed it to the customer. In due course we developed a bespoke Java applet widget that was embedded into the page and which would update automatically every minute without the customer having to reload the page. 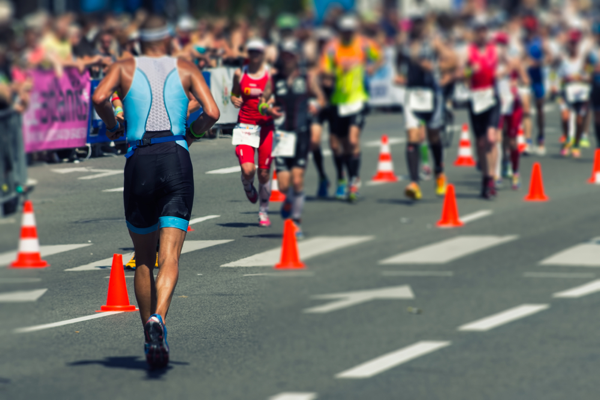 In 2002 we worked with Raceahead, a business based in Bath that provides race management and timing services for triathlons and marathons in the UK. Raceahead used the ChampionChip system for timing races. Magnetic chips are worn by competitors and detected by special mats that are located at key parts of a course. As a competitor passes over a mat the chip's id, along with the exact date and time, is recorded by a piece of equipment called an 'Ear' which is connected to the mat. The data can then be retrieved from each ear and imported into applications such as spreadsheets for analysis and calculating results. This involved a lot of manual processing, especially in the case of triathlons where the same mat and ear can be used multiple times during an event. A further complication was that at any event there can be two separate start times - the 'gun time' which is the time at which the starting gun is fired and the 'chip time' which is the time that the competitor actually passes over the start line. At large events there can be a significant difference between the two. The official results are based on the gun time, but competitors also want to know their chip time. A final complication in the case of triathlons is that there can be several 'waves' of start times if the swimming element is carried out in a pool. Provide facilities for searching results by entry id, name, team name, etc. We worked closely with Raceahead to understand exactly how each type of race needed to be managed, how timings and results should be calculated and reported and how the mats and ears were used at each type of event. We then built a web based system that would allow the race and equipment options to be configured as well as managing all entries and associating chips with competitors. Because of the complexity and volume of the data we spent a long time designing and developing a database management system to act as the main engine of the application. Once a race was was underway then the system allowed data to be read remotely from the ears, parsed and inserted into the database and then analysed and used to generate reports in HTML format. The user interface allowed results to be searched, sorted and presented in different formats and also exported to files for use in other systems or by event organisers. Cando4You are a High Street retail business that offer leisure goods, trophies and engraving services. They also offer online purchasing and services via their site at www.trophy-awards4you.co.uk. They already had an eCommerce site in place but wanted to offer customers additional options for adding accessories and engraving. They also needed to be able to perform bulk inserts and uploads of product details and prices as this wasn't something offered by the eCommerce sysytem. Upload of product data for adding new and updating existing products. Additional configure options for accessories and engraving on a per product basis. Options for customers to be able to enter the text that they would like engraved, and at which locations on the products. Dynamic update of web pages and checkout areas to show options selected and related pricing. The existing site had been built with ExpressionEngine. We started by developing additional plugin modules and extensions to enhance the functionality of the eCommerce back end and allow cando4you to configure engraving and accessory options on a per product basis. We then extended the user interface on the shopping pages of the site so that customers can choose options and enter the text that they would like added to their purchases. Finally we integrated the new options into the checkout, payment and order fulfilment processes. Based in Somerset, Castle Welding offer a wide range of metalworking services including the manufacture and installation of structural and secondary steelwork. They have approximately 20 employees who will be working remotely on site at clients’ premises at any time. The hours that they work need to be recorded accurately and used to generate time sheets for calculating wages for the employee as well as job sheets and invoices to be sent to the customer. The existing manual method of operatives filling in weekly time sheets was not at all efficient. Employees would often forget the start and end times that they had worked on jobs, especially if they had moved between locations during a day, and it was taking several days each month to enter work times, calculate wages and generate invoices. Having already developed an SMS based delivery tracking system, we used similar principals to implement a time tracking system. First we designed a database to store all incoming SMS messages, time and job records, employee details and hourly wage rates. Then we worked with Castle Welding to agree a set of codes that could be sent via SMS to indicate what type of work or break was being recorded. Next we developed the functionality that would process incoming SMS messages, validate them and then parse and store the relevant data in the database. Once the core SMS to database functionality was tested we developed a secure system with a browser based interface that would allow Castle Welding to configure the system, manage employee details and generate time sheets, job sheets and invoices. The system has been in use continually since it was first deployed and allows Castle Welding to calculate wages and generate invoices in a few hours rather than several days. It has also allowed them to invoice customers weekly rather than monthly as before, thereby assisting with cash flow. 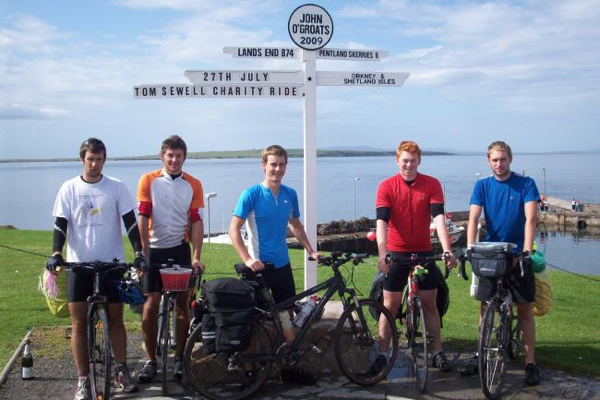 In 2009 a group of lads from a local school decided to cycle from Lands End to John O’Groats to raise money for charity. The trip was dedicated to a school friend of theirs who had been killed tragically in an accident whilst on a gap year trip. One of the parents was aware of our work with SMS technology and asked if it would be possible to use it to keep up to date with the lads whilst they were on the cycle ride. The application is also ideal for anyone wishing to keep an online diary of their trips - on gap year travel for example. Sweet Cumin is an Indian cookery school based in Somerset. The owner, Bini Ludlow, wanted a vibrant website to showcase the courses that she runs and to serve as a showcase for Indian food. She also wanted to be able add photos and videos and to update the site easily with news and events. We started with a Wordpress theme and then customised it to bring it to life. The layout is responsive, which means that the site can be viewed easily on table and mobile devices, and Bini can update the site's content easily to add text, course and event details, photos and videos. We are developing a web app called Ballpark-Price. The app will be useable across desktop and mobile devices and will work both online and offline with automatic synchronisation to a central server when a connection is detected. It will provide all the functionality highlighted above and will ] be available on a low cost subscription basis with a free trial period. The app is due to be launched in May 2014 - watch this space! More recently we have been working with emerging technologies such as WebSockets and AWS Internet of Things for high speed data integration into desktop and mobile applications. We also develop Web Applications that can be deployed for use by your business and your customers across desktop, laptop, tablet and mobile devices. Get in touch via our enquiry form for more details.